If you love the look of dome litter boxes aesthetically, I have to tell you, I’m much the same. I had a cute lil’ Petmate Booda of my own back when I lived in Canada. It was the first litter box I ever picked out for my first cat ever. Yes, I’m sure the ridiculously affordable price played a huge role in me picking it out at Pet Smart, but there were other litter boxes at roughly the same price, and that cute lil’ round, igloo-like dome structure called out to me above the others. I was happy with it, and would’ve continued to be if my ridiculously compulsive cat Avery didn’t turn out to be a massive digger. You have no idea how much litter he managed to dump outside the door while covering up his #1s and #2s. He isn’t capable of spending less than 30 seconds to a minute covering up, unless I go up to the litter box myself and coax him out with a litter scoop in hand to show him I’ve got it. 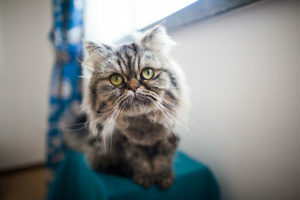 I swear sometimes I feel like there should be a competition for cats like him. Though I doubt he’s anywhere near the worst at digging, he’s changed my perspective on litter box shopping completely. There are three Petmate Booda options, all super ridiculous cute domes, and all that come in a slew of different colour choices. Have a favourite colour you’re hoping to find a litter box in? Chance are real high, whether you were thinking white, blue, beige, black – even matte or shiny – Petmate Booda has a good chance of coming in it. The Booda domes don’t come in bright, happy colours really, but you’re almost guaranteed to find at least one that’ll go well with your human furniture, which I’ve always found to be ridiculously nice and especially important if you’re grabbing a litter box for a small apartment. 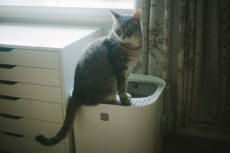 I actually bought my current litter box, a gorgeous, modern looking white Modkat top entry litter box, because of how I thought it’d look in my studio flat. Absolutely would recommend by the way – both the litter box itself and trying to match your litter box to your human furniture aesthetically. But back to the domes! 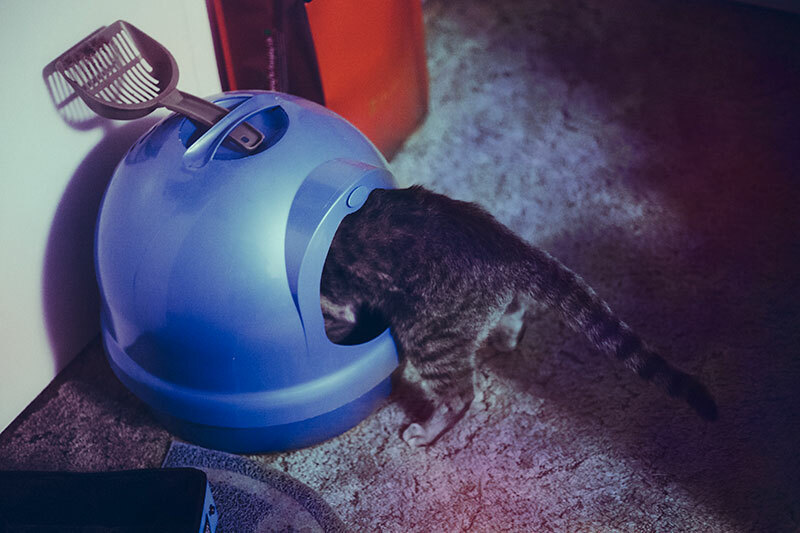 Petmate’s Booda varieties are definitely some of the most well loved, affordable, cute, & sleek looking dome litter boxes out there, but Petmate’s not the only one who does this type of thing. Then there are a few litter boxes that, while not domes strictly speaking, I think anyone who likes the whole dome aesthetic is likely to be a fan of – so I’ve shared some of those, too. 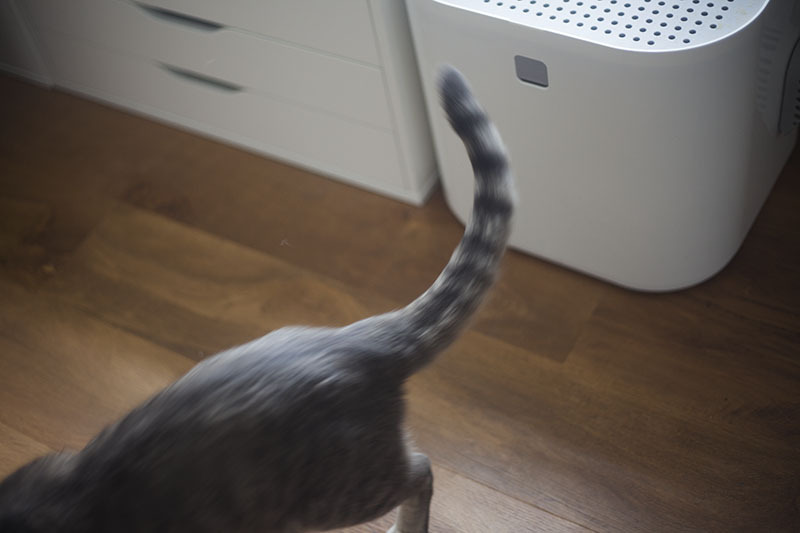 I’ll talk about the Booda options first, then the other dome varieties, which surprisingly, actually include some automatic self-cleaning litter boxes – didn’t expect that, honestly. Let’s get into the lists! This is the exact Petmate Booda Dome I had back when I lived in Canada, down to the exact colour. I remember finding it easy enough to take the lid off and clean, and a really good design for placing in corners, where I typically prefer my litter boxes. I think it’s stupid cute, especially for it’s price. To me it’s about as cheap as litter boxes get, you couldn’t get more budget than this, yet it’s not at all ugly, and I remember the plastic feeling thick and durable, which was incredibly important to me since I hate buying products that easily break – no matter the price point. The reason I got “rid” of this litter box? (I actually “donated” it to my brother, who still uses it to this day!) My husband Thomas and I moved across continents with our then only cat Avery, and I didn’t re-buy one in the UK since he’s such a crazy aggressive digger. If I were to have had two cats who used the litter box like our newly adopted, second cat Bjorn, who pees, does a couple swipes to cover up at most, then leaves, I’d definitely would’ve re-bought this cute thing. 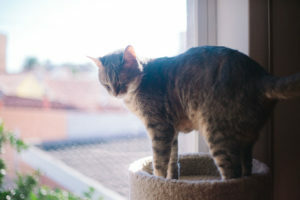 While I’ve never tried the Clean Step Litter Dome myself, based on my experience with the original Petmate Booda Dome and the ridiculously high reviews of this litter box, I’d say it’s likely to be an excellent box. 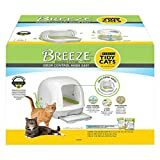 I would strongly consider getting this one if I wasn’t so obsessed with top entry litter boxes and all their benefits besides tracking reduction. 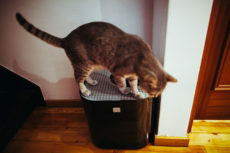 It’s, in my opinion, likely to be the best tracking reduction covered litter box around at that price point, though if you’re looking for the ultimate reduction and are okay to try top entry boxes, I think the Filtered IRIS top entry litter box likely takes the cake as the very best. Is it weird that I think this litter box is so ridiculously cute. 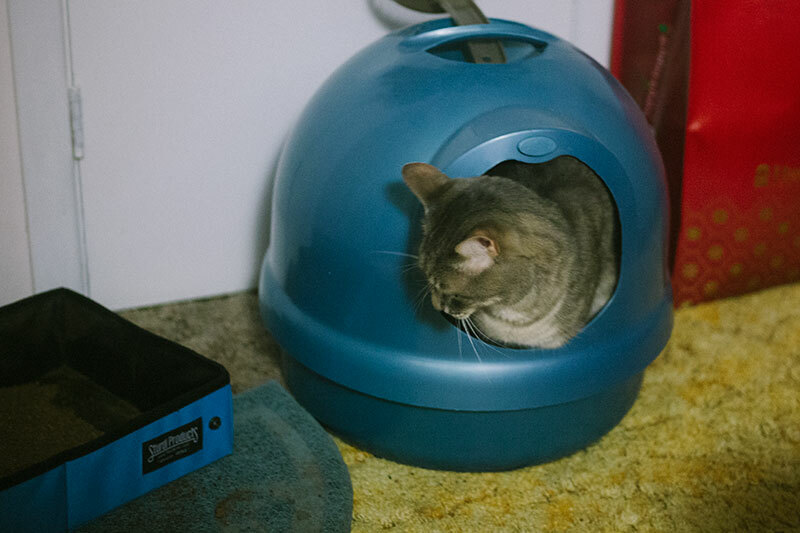 Less of a dome, more of a sphere, or as Petmate even calls it, a “Pearl” – I can’t get over how adorable the litter box is. It’s honestly on the level of cuteness as some cat beds. Just cannot get over that shape, and am surprised there aren’t more litter boxes that try to mimic it (though to be honest, at that price, who could compete?). I love this one best in white (yup, it looks even more pearl like in that colour), but it’s definitely cute in grey as well. 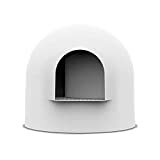 This adorable igloo style litter box is probably the most aesthetically sleek, minimalist, modern things I’ve laid eyes on in a while. Considering how well it looks like it would do at litter tracking reduction due to a really quite large “grill” type thing your cat has to walk over before it leaves, I have a feeling this may even work out as well as the top entry litter boxes I use, even without a litter mat. I actually would love to get my hands on one of these to try, as I think it’s a well-designed box. The one thing I’m not so much a fan of? The pricetag, especially since grabbing yet another Modkat is currently cheaper than trying out one of these. 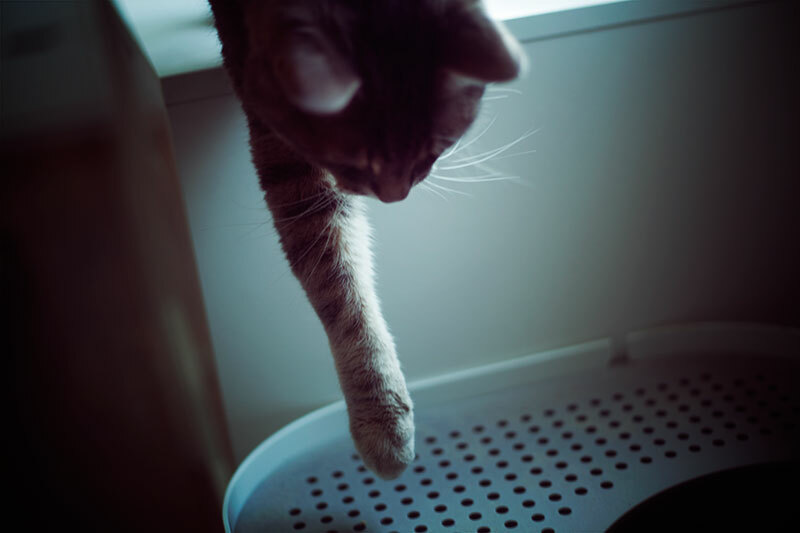 If you love the idea of self-cleaning litter boxes, love the idea of dome litter boxes, and were hoping these two worlds would collide – let me tell you, they actually already have. While you have to buy the CatGenie Self Flushing litter box and the dome cover for it separately, together, they look very good and get you that same round look dome litter boxes that aren’t self-cleaning have. Also, yes I said self-flushing, cause oddly enough, while most self-cleaning litter boxes just shove the bathroom uses off to the side in a bag, this litter box actually does flush the #1s and #2s away… and drains away the waste into a drain pipe the same way a human toilet would! KittyTwister DUO, Large Covered Litter Box, Premium Quality, Stylish Appearance, Two Tray Configurable, comes with Scoop Ease Scoop. 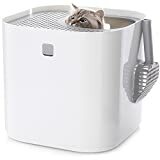 This twist-able kitty litter box reminds me a little of the Petmate Booda I have, only it looks less like a dome, and a lot more deep in terms of litter capacity than the Booda, or really the vast majority of litter boxes out there. I love it when you can pack quite a lot of litter into a box, because it creates extra space for kitties to be able to go in if for some reason you forgot to clean or there have been multiple accidents. Cats can much more easily find a clean spot with more litter. The one thing it’s probably not at all good for? Cats who dig and scratch too much, as there’s no way the litter’s not going to come pouring out the same way it does with the original Petmate Booda dome. Not for Avery! Though I could almost guarantee Bjorn would love the depth and the high ceilings (although he’s okay with covered boxes, he does prefer the covers to be higher) of this one. Love the round shape of domes, but really would prefer to get your hands on a litter box that’s as cute and aesthetically pleasing as possible? You may want to try getting your hands on this Good Pet Stuff hidden litter box, shaped like a house plant where your kitty uses the loo in the “vase” part of the plant. I love this hidden litter box, but I’m a sucker for hidden litter boxes in general; I find them so attractive compared to many traditional litter boxes and I like the fact that they don’t feel too out of place in a home, that you can have multiple varieties of them and they’ll stealthily blend in with your human furniture, yeah there’s just a lot to love about them, I think. There is another self-cleaning litter robot that looks like a dome, and that’s the Litter Robot, of which quite a few people have even told me firsthand on this blog is a spectacular product I should try to get my hands on. While I personally don’t have one of these, it’s been on my radar to grab for a little while. 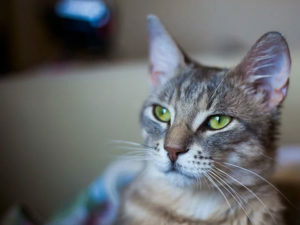 The only thing I’m worried about is stray litter with Avery, but if I could hide it away in a closet and install an interior cat door to the base, I could have a massive litter mat in front of it to catch the fallout. Really dig the idea of getting a top entry litter box? 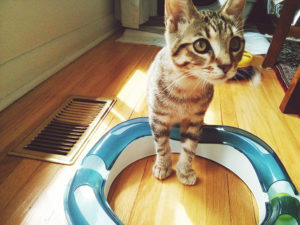 Also love dome litter boxes and don’t really know what type to choose between the two? This is probably the most cute lil’ merge of the two styles of litter boxes ever. It comes in a few different colours, all which are super adorable, and it seems pretty durable by the looks of it. 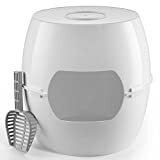 Yet another self-cleaning litter box, and while this one looks like less of a dome than the others, it’s probably the best option out there for lower budgets, and it still does look quite rounded and dome like in case that’s the aesthetic you’d like to stick to in your home. The only thing I dislike about this litter system is I can’t use my current favourite cat litter – World’s Best Cat Litter – with it. Your Thoughts on Dome Litter Boxes? 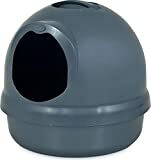 What do you think about dome litter boxes? Love them? Do you prefer more rounded looks for litter boxes aesthetically, or more angular looks like the Modkat somewhat goes for? Do you prefer litter boxes that are cute looking, hidden & blending in with human furniture, or are you generally indifferent toward whether your cat’s litter box looks aesthetically pleasing so long as it’s practical and easy to clean? 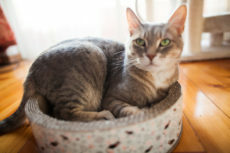 Are there certain types of dome litter boxes you wish existed? Cardboard Cat Scratchers: One Gift a Cat Will like More Than the Box! Mom and dad got me an extra large covered box because I’m plus sized (they say). It has a swinging door on it, which has a habit of coming off when I get going with my crazy cover-scratching. I not only dig to cover my doings, but I claw at the door, the sides- everything! This is interesting. I don’t think it’s for my cat though. Not for my Avery either, since he’s such an aggressive digger! When Do Cats Stop Growing? At What Age Are Kittens Full Grown?